Can’t seem to exterminate the fleas inside your home no matter how hard you try? It’s downright frustrating when you purchase flea foggers, bombs, collars, sprays and other products, only for them to have little-to-no effect on the actual infestation. Sure, these products may temporarily slow them down, but they’ll likely come back stronger than ever. Fleas, like many other common pests, can develop a resistance to chemicals founds in medicines and treatment products. If you continue to apply FrontLine Plus to your dog and cat, for instance, it may lose its effectiveness over time. So, how can you prevent this from happening? Rather than applying the same flea medicine to your pet month after month, try switching it up with a different medicine. Perhaps an application of FrontLine for 3 months followed by Advantage for 3 months will suffice. This will prevent fleas from developing a resistance to the drug, which subsequently increases the product’s effectiveness. Did you know that 50% of the flea population consists of eggs, and only 5% are adults? Picking fleas off your pet and killing them one by one isn’t going to solve the root cause of the problem. Fleas have four different stages in their life cycle — egg, larvae, pupae, and adult — and failing to eliminate the eggs will allow their numbers to grow. The single most effective way to eliminate flea eggs is to vacuum your floors. A recent university study found vacuuming to eliminate up to 95% of fleas and flea eggs, which is a pretty impressive feat to say the least. You can also use insect growth regulator (IGR) and insect growth inhibitor (IGI) medicine to break the flea’s life cycle. Being that fleas thrive on the blood of a host, it should come as no surprise that pet bedding is a prime “hot spot” for flea activity. 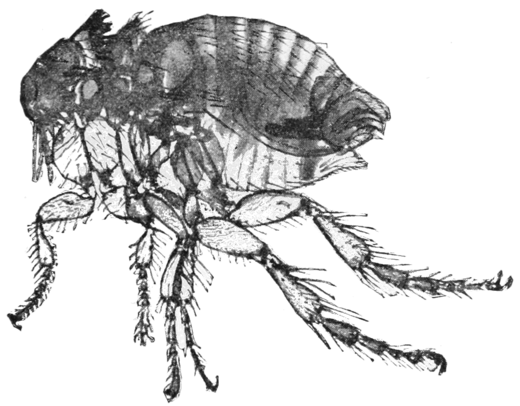 Fleas will often remain here, waiting until the dog or cat returns, at which point they bite into the pet’s skin to draw blood. Pet owners who are struggling with a flea infestation should get into the habit of washing their pet’s bedding on a regular basis. Place the bed, blankets and any other material in the washing machine (don’t wash with clothes or other garments) and wash on high-heat with a generous amount of liquid laundry detergent. Adding 1/4 cup of white vinegar will also help to kill the fleas while leaving your pet’s bedding smelling fresh and clean.